Reliable and affordable domestic cleaning services in Bayswater W2 performed by professionally trained cleaners from First Class Cleaner. Get a free and non-obligatory quote now! It is so nice to get back home after a tiring day at work and relax instead of dusting, doing the dishes or ironing? If you want to get rid of all the house chores responsibilities, you can simply arrange a professional maid to take utmost care of your home and maintain it spick and span so your family feels cosy and your friends welcomed. The domestic cleaning service, delivered on weekly or fortnightly basis, can make your life so much easier. You don’t have to spend your day off in cleaning and you don’t even need to spend a large sum of money on the procedure. 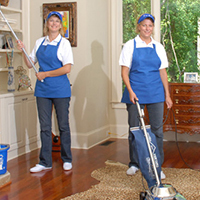 You were lucky to come across the company that is said to be the leading provider of various cleaning services and as we do our best to keep our reputation spotless, we have never tolerated a poor performance. What’s more, we provide every customer with the chance to meet their maid prior to the cleaning visit and eventually give them some directions, concerning the needs of their household. Don’t hesitate to contact our call centre operators and schedule your professional domestic cleaning service. Our customers usually set weekly or fortnightly procedures but it will take place as often as you wish. We work seven days a week and we cover all Greater London areas. The prices shouldn’t be a bother to your limited budget as well. Don’t miss such a great deal. Book now.